For additional information about this book, visit the website thereplacementson.com. Harry McChesney is seven when he first learns of Buddy, his only brother who’d died young and left his family in misery. After a fitful start on his own life, Harry decides that the only way to get things right for himself and his family is to become The Replacement Son. Author W.S. Culpepper frames Harry’s psychological drama within an epic adventure story. Harry struggles to define himself, rescue his family from the emotional aftermath of his brother’s death, and undertake a lifetime of labors as the next head of the McChesney clan. The novel tracks reluctant pilgrim Harry on his existential quest through Depression-Era New Orleans, WWII, and the city’s devastation following Hurricane Katrina. Along his journey, Harry gets help from a trusted family servant, a powerful talisman, and a bizarre set of twins. Throughout The Replacement Son, Buddy’s dark spirit lurks in the shadows. The brothers’ shared legacy seems only threatening and harmful. In the chaos of war Harry discovers a shocking secret that might offer a resolution and release for both brothers. But their conflict doesn’t end there, and Harry faces failure and defeat much later in life—trapped in the floods of Hurricane Katrina—when time is running out on everything. 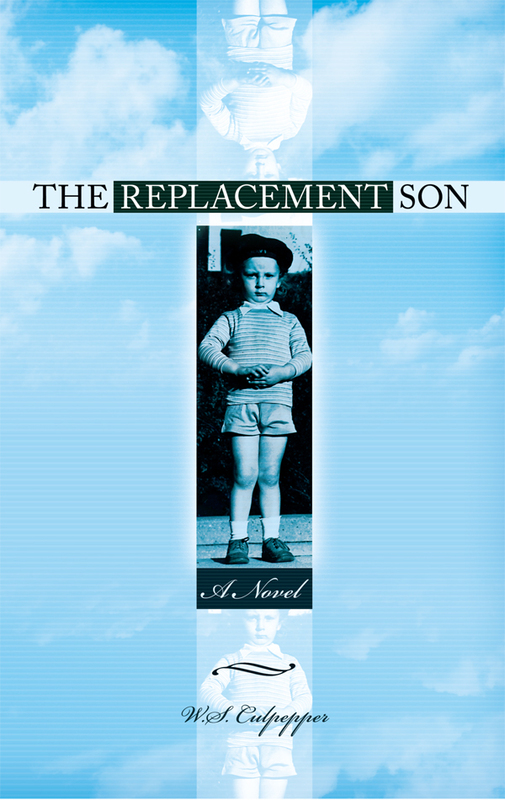 The Replacement Son brings a charming but most unlikely hero and an exotic range of supporting characters to life in a compelling story of sacrifice and discovery. W. S. Culpepper is a retired physician living in Louisville, KY. Prior to Hurricane Katrina, he lived and worked in New Orleans, LA, the exotic, dysfunctional, much-battered, but beloved city where he was born and raised. Dr. Culpepper has written poetry since his undergraduate years at the University of Virginia where he was an Echols Scholar in English literature. After practicing and teaching pediatric cardiology, he decided to focus on his writing and began exploring minimalist verse forms. His English haiku has appeared in the Tokyo Edition of the Mainichi Daily News, The International Newspaper of Japan, beginning in 2001. As a member of the Haiku Society of America, he produced a collection of less traditional Zen verse, entitled Haiku Lite:Poems for the New Millennium. His prose works include a travel memoir, France 2007: A Journal and a collection of essays on growing up in post-WW II New Orleans, Tales of Yute. The Replacement Son is his first novel.